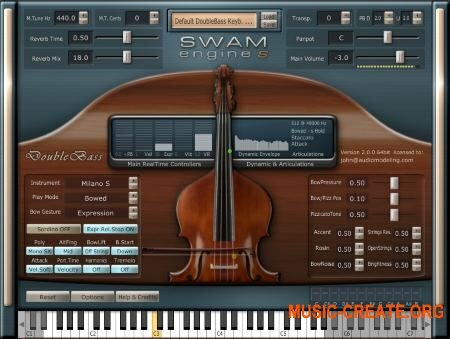 Audio Modelling SWAM Engine SWAM Violin v2 - это самая реалистичная, реалистичная виртуальная скрипка в реальном времени на рынке. В отличие от простых библиотек сэмплов, все продукты SWAM, включая SWAM Violin, - это не просто записи нот, а реальные виртуальные инструменты, которые гарантируют через MIDI-контроллер те же самые естественные реакции, что и у реального инструмента. 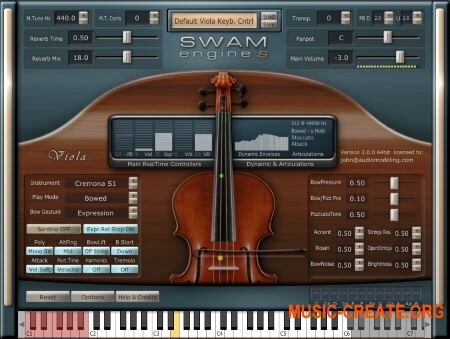 Developed by Audio Modeling using the SWAM Technology (Synchronous Waves Acoustic Modeling), a combination of innovative performance techniques and concepts of physical and behavioral modeling, SWAM Violin doesn’t include any samples and is extremely lightweight (only a few Megabytes). The smallest footprint of SWAM Violin puts aside the issue of Giga-sized pre-recorded libraries, and its organic consistency is the result of the various expressive parameters that are unique of every live performance and typical of traditional instruments. 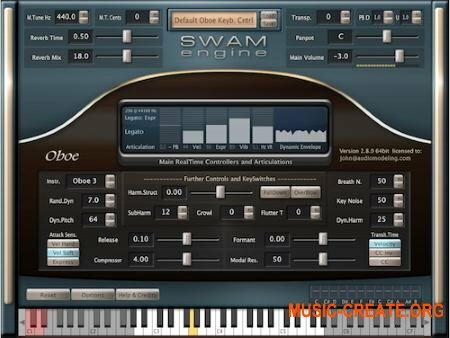 You can use SWAM Violin for Classical, Country, Pop music and any other musical genre, by layering it in a section with no artifacts and simply selecting different timbres for each instance. 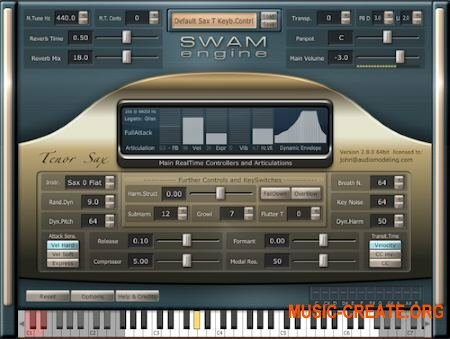 All SWAM Engine digitally handcrafted acoustic instruments allow you to control the expression of a virtual acoustic instrument: whereas a sample library repeats a pre-recorded sound, SWAM instruments play for real.